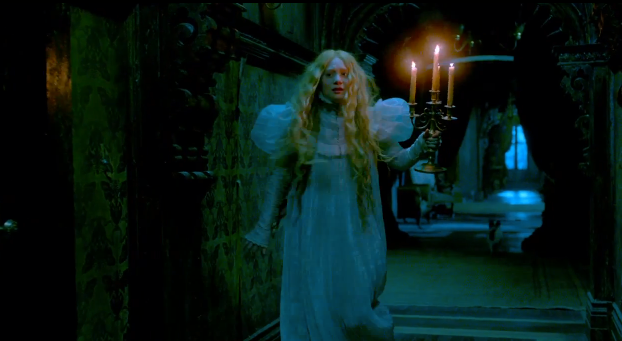 Ghosts might roam through Allerdale Hall, the creepy mansion to end all creepy mansions featured in Crimson Peak, but let’s be honest—the true stars of the show are the costumes. 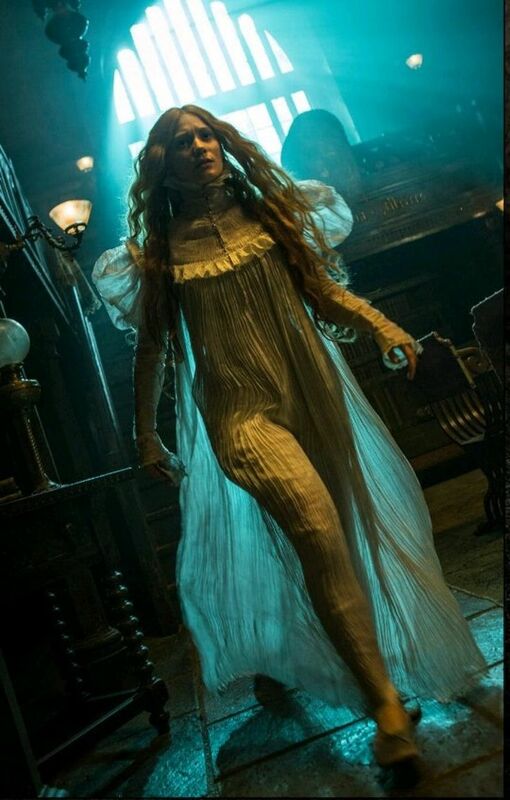 How can spirits compete with ham-sized puffed sleeves and bodices designed to resemble spinal cords? And these costumes aren’t just eye candy; they’re meant to highlight elements of the characters’ personalities, some of which they’d rather keep hidden. Here’s how the story starts. 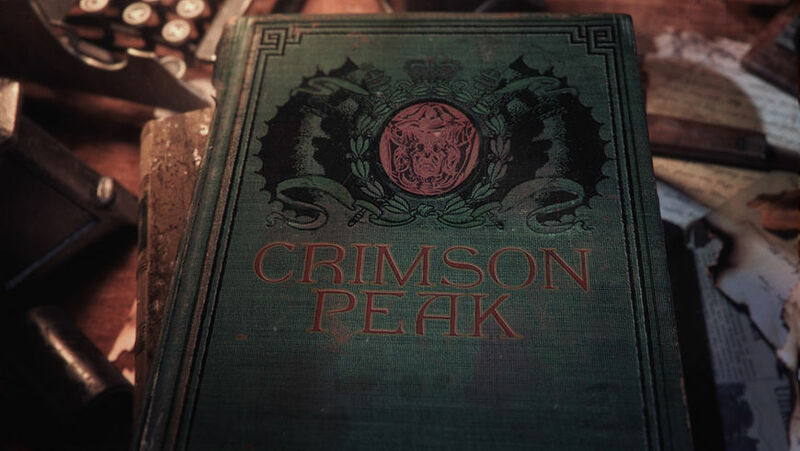 Edith Cushing, an American heiress, falls in love with Thomas Sharpe, a British inventor. They marry and move back to his ancestral home in the middle of nowhere, England. Lucille, the sister whom he shares the house with, isn’t exactly the welcome-your-new-sister-in-law-with-open-arms type. From the moment Edith and Lucille meet, the film focuses on the conflicts between them and the two worlds they inhabit: the wealth and warmth of Buffalo, New York vs the chilly emptiness of Allerdale Hall. If that sounds boring, don’t worry. Kate Hawley, the costume designer, says it better. The moth comparison sort of implies that Lucille spends most of her time swooping around in dark, drab gowns. 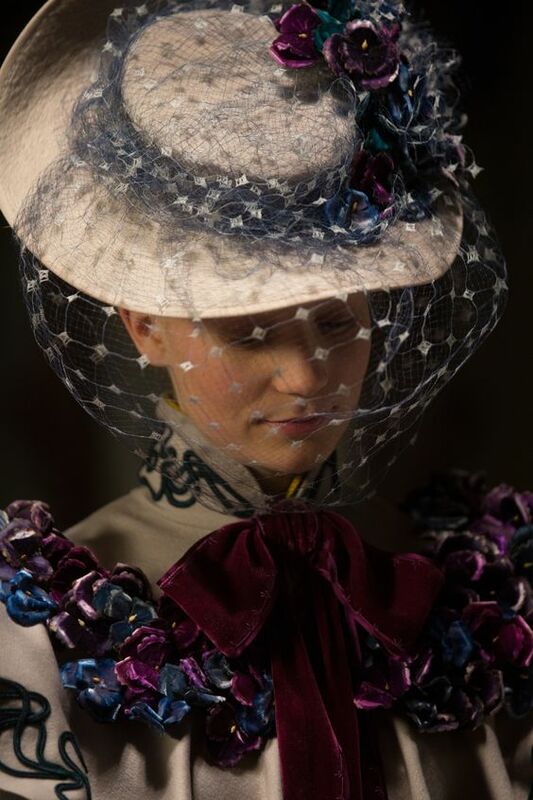 When she first meets Edith, though, she’s dressed like this. 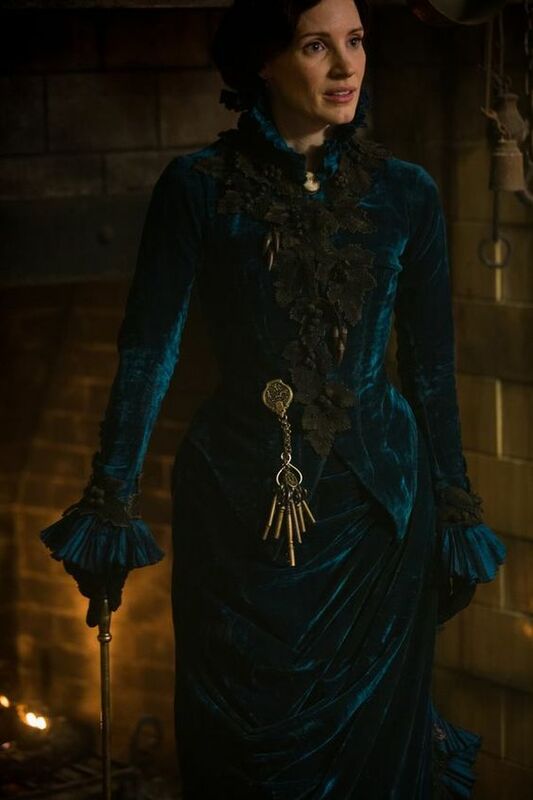 The color is a reference to the secrets buried beneath Allerdale Hall (the locals call it Crimson Peak) and features a spine-like decoration on the back which pops up in every costume Lucille wears. 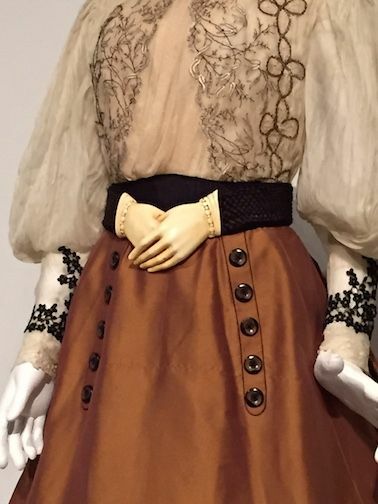 In comparison, Edith wears a cream-colored ball gown. It’s gorgeous and much more modern, but nowhere near as eye-catching. Lucille is an ambassador of an older, apparently more romantic world. 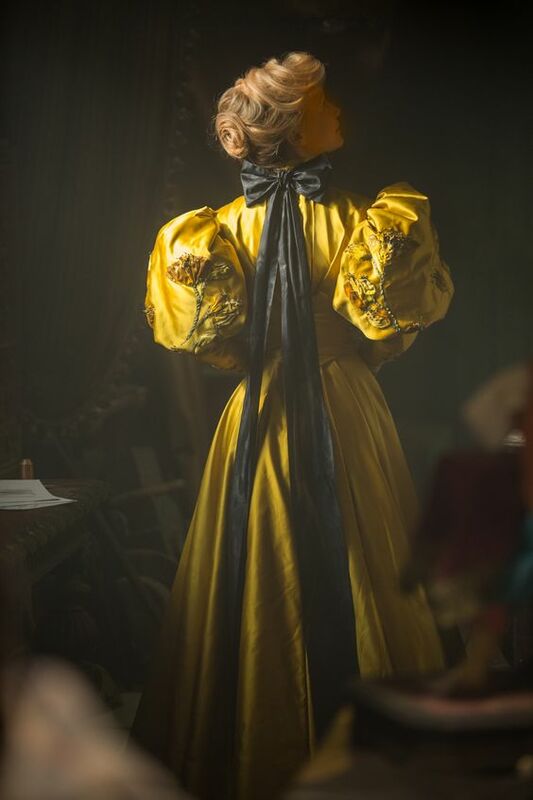 Edith’s dress shares the spotlight in their second scene together. It’s light, billowy, and covered with flowers. There are darker elements to it, including a mourning belt braided with her dead mother’s hair. Mourning belts were a type of Victorian accessory made to commemorate the dead. Edith’s implies that though she looks innocent next to Lucille, she’s no stranger to death. After Edith marries Thomas and moves to England, places are switched. She’s as out of place in the crumbling and distinctly unromantic hall as Lucille was in Buffalo. At first, she keeps wearing bright colors and attempts to befriend Lucille. It doesn’t go well, and as their relationship escalates from hostile to dangerous, the colors fade. Vines are always featured somewhere in Lucille’s costumes, symbolically binding her to the vine-covered house. She doesn’t care that Edith genuinely wants to be friends and compares her to a butterfly—in the sense that she’s pretty but weak, and easily killed. Kate Hawley sees it differently. “…she never loses her inner strength—so her wings, the sleeves of her clothes, are bold, expressive.” It doesn’t matter how drab her costumes are—Edith always gets to keep the puffed sleeves. Without giving away too much, Edith and Lucille are only dressed similarly during their final confrontation. And even though you could see this as a leveling of the playing field—that they’re finally equally matched—only Edith escapes Allerdale Hall. Lucille stays bound and trapped in her dark, cold world. It’s probably no coincidence that Edith is compared to a butterfly. 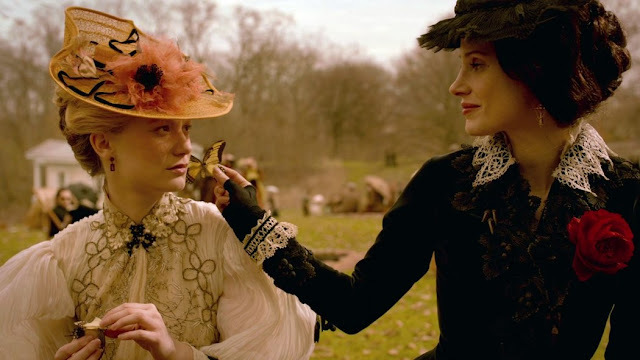 In Victorian times, butterflies symbolized the soul, and her courage and strength are the soul of the movie. Outwardly she might seem more fragile, but unlike Lucille, she’s free. Edith and Lucille towards the end. I haven't seen the movie, but whoo boy, those costume designs are pretty! And it makes them that much better learning about the symbolism behind them.